Midfielder Santi Cazorla is leaving Arsenal after six years with the club. 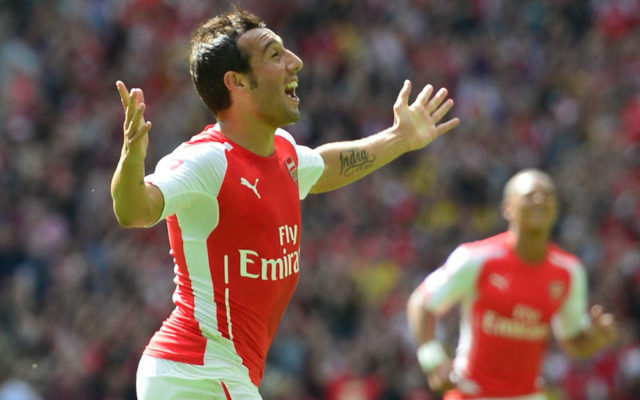 The Spaniard joined the Gunners from Malaga in 2012 and made 180 appearances, scoring 29 times in all competitions. However, now 33, Cazorla has not played since October 2016 having suffered an Achilles injury and he will depart at the expiration of his deal.He won the FA Cup twice with the north London club, scoring a free-kick in the 2014 final, which Arsene Wenger’s side won 3-2, to spark a comeback after Arsenal had fallen 2-0 behind to Hull at Wembley. “I am very sad to be leaving after so many great times,” Cazorla said in a video addressing fans, which was posted on Arsenal’s official Twitter account.“I have loved my time with the club and I will always remember the special moments we had together.“Our FA Cup win in 2014 is something we will never forget, it was a great moment for me and for the club.